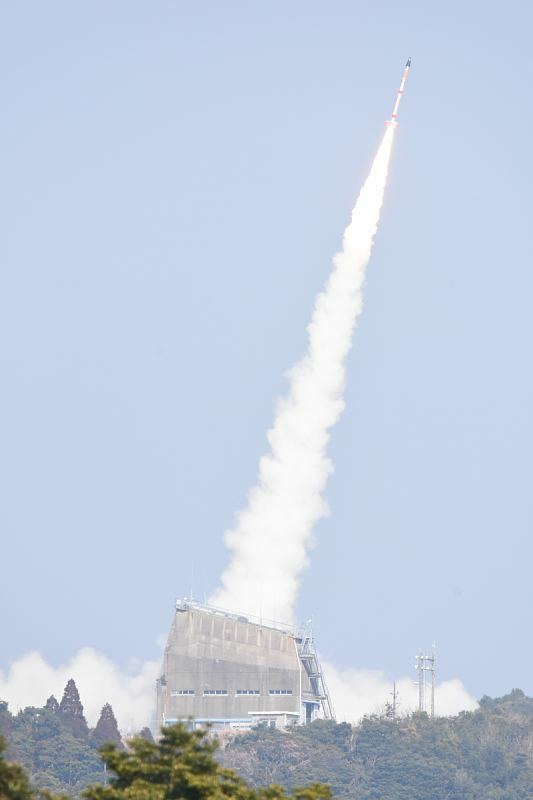 The SS-520-5 vehicle shot up from its rail launcher at 5:03 UTC and JAXA confirmed the rocket successfully achieved orbit less than four and a half minutes after liftoff – one of the fastest space shots ever carried out. Saturday’s launch placed a tiny, three-Kilogram satellite into orbit and demonstrated the feasibility of launching CubeSats one at a time using a dedicated Nano Satellite Launch Vehicle – an as of yet largely unexplored area of the market. 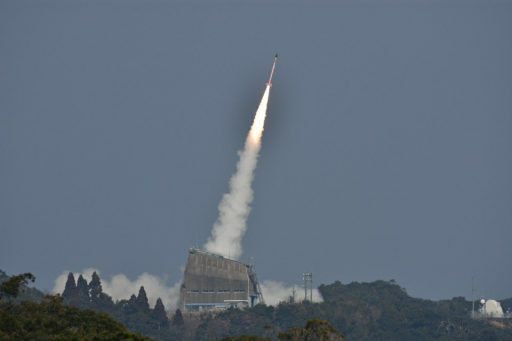 Confirmation that SS-520-5 successfully reached orbit was provided by the Japan Aerospace Exploration Agency three hours after the day’s liftoff when the satellite had been received by ground stations, indicating it was in good health after its swift climb into orbit atop the solid-fueled rocket. Orbital tracking by the U.S. Joint Space Operations Center showed SS-520-5 exceeded expectations, injecting the TRICOM-1R satellite into a slightly higher orbit than planned. The advances made in technology over the last decade permitted formerly-large spaceborne sensors to be packaged into a minimal volume, allowing small satellites to carry out operational missions in Earth-imaging & other remote sensing, meteorology, maritime & aeronautical tracking and communications. CubeSats – originally developed for educational missions at the turn of the century – have now turned into potential revenue generators on the commercial market for satellite imagery and tracking services. Their role in scientific missions has also grown, in part due to their low development cost, the possibility of using standardized platforms for many missions and moderate launch prices for CubeSats of up to 6U in size. Deploying large constellations of CubeSats can provide high revisit times when collecting Earth observation imagery, global weather data through atmospheric sensing or a worldwide, 24/7 ship/aircraft tracking capability. Naturally, large constellations will require a steady replacement of satellites as old ones retire – creating an opportunity for small satellite launch providers. Last month’s successful ‘Still Testing’ mission of Rocket Lab’s Electron was the first wave in a flood within the small satellite launch market as several more rockets are expected to make their debut flights this year including VirginOrbit’s LauncherOne. Even though these vehicles have been optimized as a launch solution for the small satellite market, they are still not ideal for single CubeSat missions that still would have to accept the schedule and orbit constraints of ride share flights. A vehicle capable of placing a single CubeSat weighing up to five Kilograms into orbit may have a market if a launch price of $500,000 or less can be realized. Although this is around double the current asking price for the launch of a 3U CubeSat, the additional benefits for operators to set their own schedule and define their optimized target orbit may outweigh the cost. When dealing with shared rides, delays are a common occurrence which can be problematic for operators since they need their satellites in orbit to generate revenue, adding another factor in opting for a dedicated launch rather than a possibly cheaper, but more uncertain secondary payload slot. 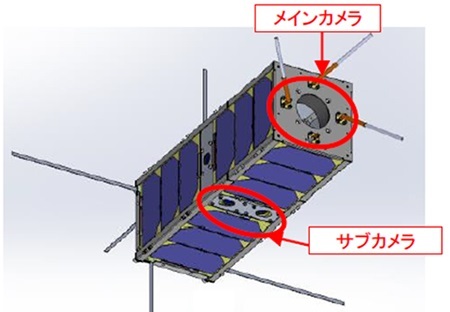 The “Orbital SS-520” project was initiated by the Japan Aerospace Exploration Agency with the major goal of gathering practical data that could benefit the development of a commercial Nano Satellite Launch Vehicle which a number of companies had expressed interest in. The SS-520-4 mission reached the launch pad in early 2017 through $3.5 million in funding provided by the Japanese Ministry of Economy, Trade and Industry, covering the procurement of the SS-520 two-stage sounding rocket and the development of modifications needed to allow it to lift a satellite into orbit, primarily the development of a third stage that would be tasked with the orbit injection maneuver. 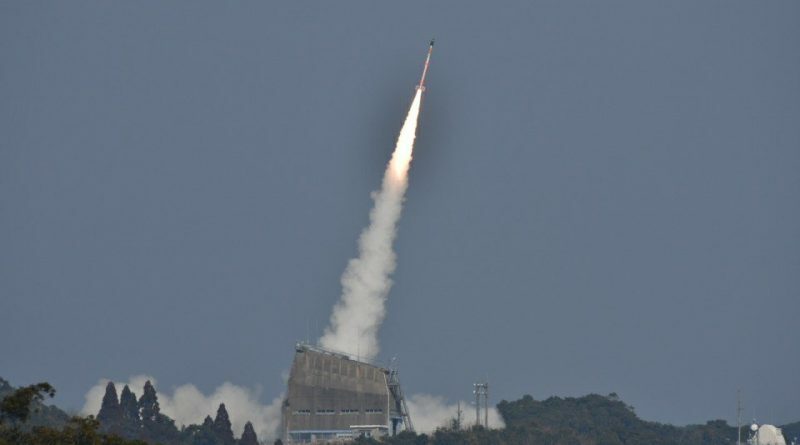 The SS-520-4 rocket, topped by the TRICOM-1 CubeSat, raced into the morning skies over the Uchinoura Space Center on January 15, 2017 but was unable to reach orbit after a short circuit knocked out the rocket’s entire electrical system only 20.4 seconds into the 31.7-second first stage burn, causing all telemetry to be lost on the ground. 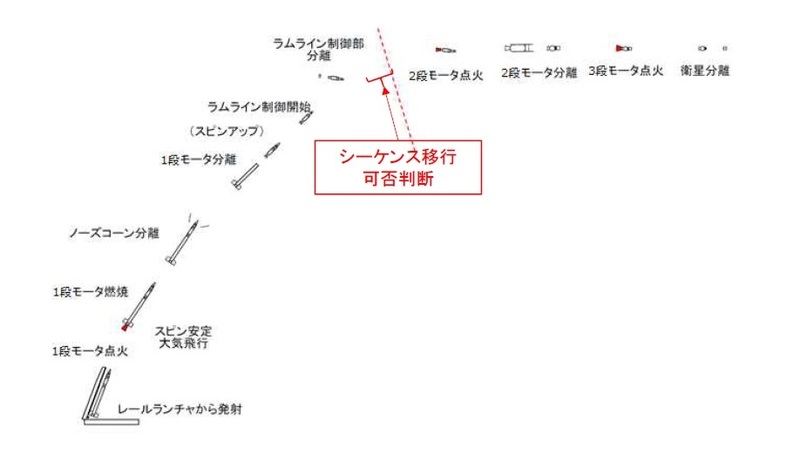 A built-in safety checkpoint prior to ignition of the second stage could therefore not be passed and the rocket fell into the Pacific Ocean just downrange from the launch site. Within a month of the mishap, engineering teams discovered SS-520-4 was brought down by a fairly basic design flaw that caused insulation of a wire bundle being abraded in the extreme vibration of launch, resulting in an electrical line coming into contact with the grounded launch vehicle structure. 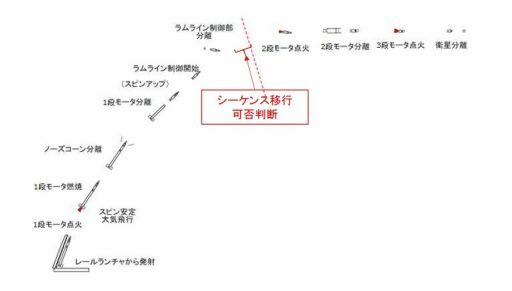 The identified fix was straightforward and convinced JAXA to give the project another chance with the goal of getting the Orbital SS-520 back into a launch posture within one year of its first flight. The Orbital SS-520 is a three-stage, all-solid-fueled launch vehicle standing 9.54 meters tall and 52 centimeters in diameter, weighing in at only 2,600 Kilograms – smaller and lighter than any previous ground-based orbital launch vehicle. Saturday’s successful orbital delivery of TRICOM-1R cemented the vehicle’s place in space history as the smallest orbital LV to successfully fly, a record previously held for 48 years by Japan’s Lambda-4S that stood 16.5 meters tall and weighed 9.4 metric tons, achieving Japan’s first successful orbital launch in 1970. The only orbital LV smaller than SS-520 was the U.S. Navy’s air-launched Pilot vehicle that made six attempts at reaching orbit in the early days of space flight, but never achieved success. 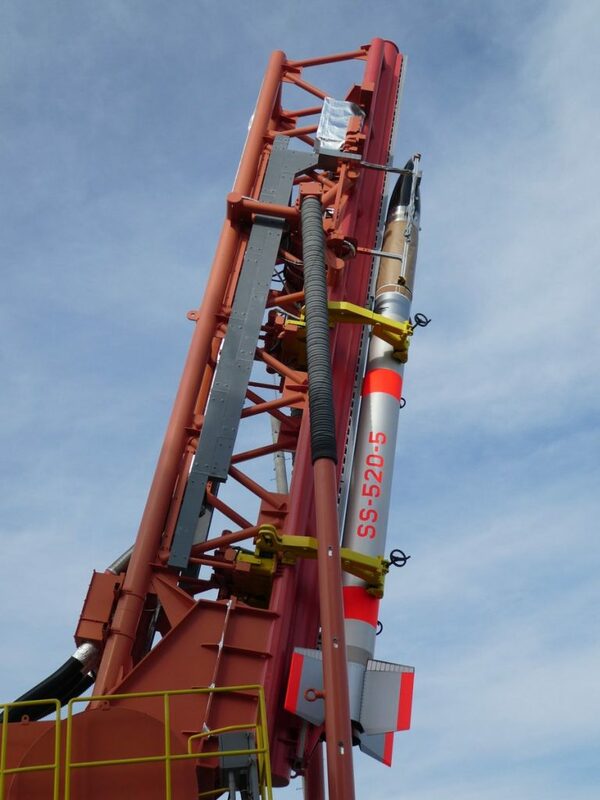 As a souped-up Sounding Rocket, SS-520-5 was looking at a rapid launch sequence, planning to reach orbit in under four and a half minutes with only 82 seconds of actual powered flight – creating one of the fastest orbital space launches ever attempted. Firing up its first stage, SS-520-5 shot up from its launch rail at 2:03:00 p.m. local time on Saturday with its aft fins sending the climbing rocket into a spin to provide stabilization as it climbed with a thrust outweighing the vehicle’s mass by a factor of seven. The first stage, standing 6.1 meters tall and holding 1,587 Kilograms of propellant, pushed the vehicle skyward with a peak thrust of 185 Kilonewtons (18,900 Kilogram-force), averaging at 143kN (14,600kgf) over the course of a 31.7-second burn. Reaching a top speed of 2.0 Kilometers per second at first stage burnout, SS-520-5 entered a lengthy coast phase to continue climbing toward an apogee near 190 Kilometers. 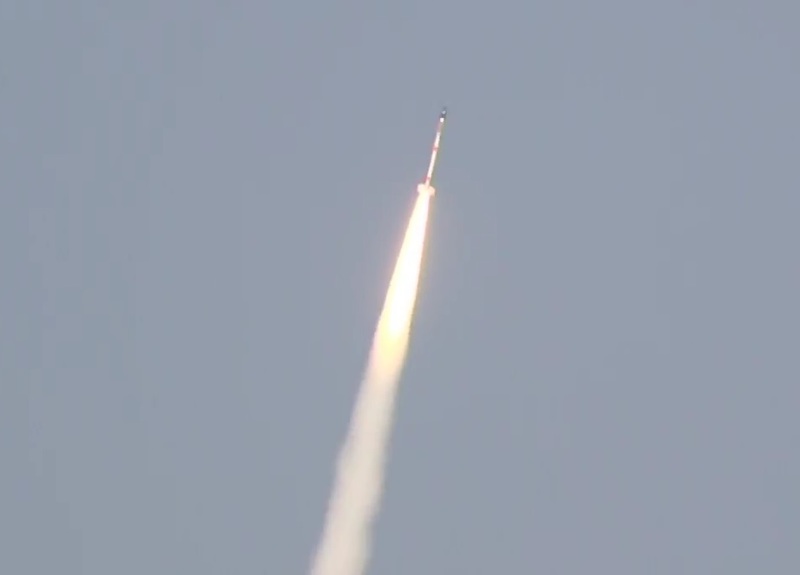 One minute and seven seconds after launch, the vehicle had passed 80 Kilometers in altitude and separated the protective nose cone to reveal the small CubeSat payload and shed no-longer needed weight. The first stage dropped away one second later, falling into the waters of the Pacific not far from the launch site given the rocket’s very steep launch profile. After the first stage departed the vehicle, Stage 2 entered a critical re-orientation maneuver to pitch down so that its and the third stage’s burn could focus on building speed. The 29-second re-orientation maneuver employed four pulsed thrusters fed from a 5.7-liter, 230-bar Nitrogen pressure tank and forced the SS-520-5 into a precession around its spin axis to accomplish the pitch-down so that thrust from the upper stage would be directed nearly horizontally. Stage 2 jettisoned the interstage compartment with the ram line control thrusters to rid itself of additional mass before pushing on toward orbit. Two minutes and 37 seconds into the flight, the second stage was to verify its spin rate, position and velocity to calculate the optimized ignition time of its solid motor to give the vehicle the best chance at reaching orbit. This was followed seven seconds later by the permission signal for Stage 2 ignition being issued from the ground after engineers verified reaching orbit was possible based on the performance observed so far. Successful ignition of the second stage was confirmed through real time telemetry, surpassing the point of failure on the previous SS-520 orbital launch attempt. Standing 1.7 meters tall & packed with 325 Kilograms of propellant, the second stage fired for 24.4 seconds to accelerate the rocket to a speed of 3.6 Kilometers per second, having plateaued out at nearly 190 Kilometers in altitude. A brief coast phase of 30.5 seconds followed after burnout of the second stage to allow thrust to safely tail off before the spent stage was separated to clear the way for Stage 3 ignition three seconds later. The purpose-built third stage is 0.8 meters long and holds 78 Kilograms of propellant using a composite case with the spacecraft adapter sitting atop. Its task, over the course of a burn of 25.6 seconds, was to boost the vehicle’s speed by another 4.5km/s to an injection velocity of 8.1 Kilometers per second. Due to the mass restrictions for the ultra-small launcher, Stage 3 could not be equipped with a telemetry system and was expected to only send GPS data via an Iridium satellite terminal as the only insight into how it was performing. Orbital Insertion occurred around four and a half minutes after launch, aiming for an orbit of 180 by 1,500 Kilometers at an inclination of 31 degrees – though accuracy was not the prime concern for this proof-of-concept mission. Data from the Joint Space Operations Center showed two objects in orbits of 187 x 2,012 and 189 x 2,003 Kilometers, inclined 30.90° – indicating a slightly higher-than-predicted performance by the launcher. A three minute coast phase was planned after the propulsive phase of the mission to ensure residual thrust on the third stage tailed off safely before releasing the TRICOM-1R satellite at an altitude of over 200 Kilometers, some 1,750 Kilometers downrange from the Uchinoura Space Center. The TRICOM-1R CubeSat – a re-build of the satellite lost on SS-520-4 – complies with the 3U form factor, but unlike the vast majority of CubeSats, was not designed to be ejected from a deployment tube and instead features a base-mounted separation system interfacing with the upper stage of the launch vehicle via a central separation bolt. TRICOM-1R was developed by the University of Tokyo and measures 11.6 by 11.6 by 34.6 centimeters in size with a mass of 3 Kilograms. 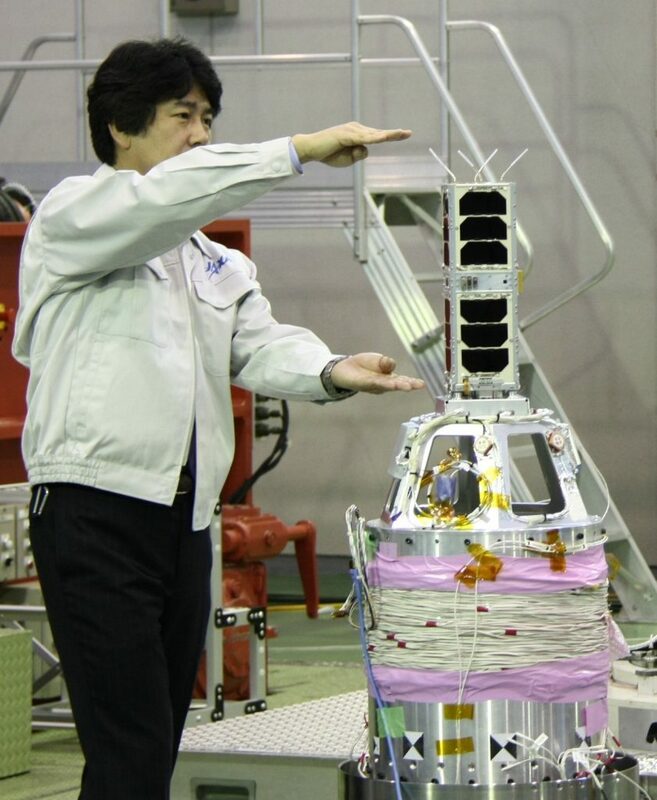 The satellite uses body-mounted solar cells for power generation and operates in spin-stabilized mode. Five Earth-imaging cameras are installed on the CubeSat and a Store and Forward communications terminal will pick up data packets from a ground station and downlink them upon command from another ground station on a different part of the planet. TRICOM-1 is expected to be operational for one to three months before succumbing to orbital drag and re-enter the atmosphere.